All filters are UV protected, EXCEPT for our Gold Frame 88% and Silver Frame 88%. Therefore, if you have a UV purifier light installed in your air system, be sure to avoid the Silver or Gold 88%. 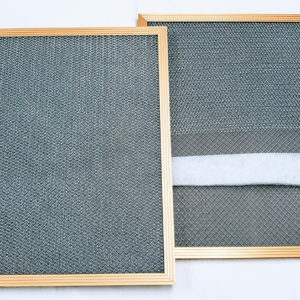 The 88% and 94% refers to the efficiency of the filter and resistance to airflow. The 94% filters are the most efficient (94%) while the 88% filters are less efficient (88%) but allow more airflow (they are less restrictive and less taxing on your HVAC system). The 94% is recommended for all applications except in systems that have a reduced sized return opening. Flexible frames are available for applications where a rigid frame cannot be used. They have a 3/8″ polyester layer and a resin stiffener applied between 2 layers of polypropylene and a polypropylene webbing frame which is sewn around the edge. These 3/8″ thick filters fit most 1″ applications. All air filters have a 1/8″ tolerance. What is air conditioner arrestance? Arrestance is just a fancy word for filtering capacity. All Air-Care filters come in one of two types of arrestance – either 94% or 88%. 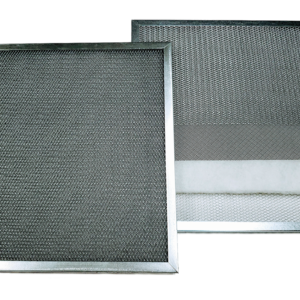 The 94% arrestance filter provides higher filtering capacity by trapping up to 94% of particles in the air. We also offer filters with an 88% arrestance. This provides slightly less filtering capacity, but is less restrictive, allowing greater airflow through the filter. An 88% arrestance filter would be appropriate using the following formula. If the filter square footage is less than the tonnage of the unit, we recommend an 88% arrestance filter. What is the difference between 88% & 94% arrestance? Here’s an example: If you have a 16×25 filter and a 2.5 ton unit, the square footage of the filter is 2.8 sq feet (16 x 25 / 144 = 2.8). Since 2.8 is greater than 2.5, you are fine with using a 94% arrestance filter in this system. If the filter size is 12×18, the square footage of this filter is 1.5 (12 x 18 / 144 = 1.5). Since 1.5 is less than 2.5, we would recommend an 88% arrestance filter in this case. Ok, So do I need a standard or custom air filter? Every filter we manufacture is either a standard size or a custom size. The length and width for a standard size air filter is undercut by 3/8″ to accommodate standard size openings. This is consistent with other filter manufacturers. For example, if you are replacing a 25″ x 25″ disposable filter, then you need a standard size 25″ x 25″ electrostatic air filter. The actual size of this filter is actually 24 5/8″ x 24 5/8″. A custom size filter, however, is cut to the exact sizes you specify. So a custom size 25″ x 25″ filter will be exactly 25″ x 25″ – there is no undercut. The difference is very important – so if you have questions, please contact us. Some other things you may want to know about. Standard Size Filters will follow industry standard and be 3/8″ undercut, i.e. a 12 x 20 will measure 11 5/8″ x 19 5/8″. The width of the frames are 7/16″, 7/8″, and 1 ¾” for ½”, 1″, and 2″ filters, respectively. Flexible frames are approximately 3/8″ thick at the edges and 5/8″‘ thick at the center. 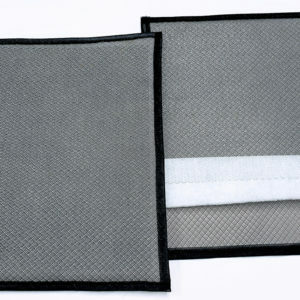 Note: 1/2″ flexible frame filters are only available in 88% arrestance. Custom sizes are also available, please specify the EXACT dimension that you want the FILTER FRAME to ACTUALLY measure. Custom Size filters are NOT undercut. All electrostatic air filters have an 1/8″ overall tolerance. This means the thickness of the frame could vary by as much as 1/8″.